This picture was a week or two ago. And now. I really love how bright they are and there are still loads to open. I have also had a play with glass a few weeks ago, I don't think I have blogged about it ( mind like a sieve) so thought I would share. 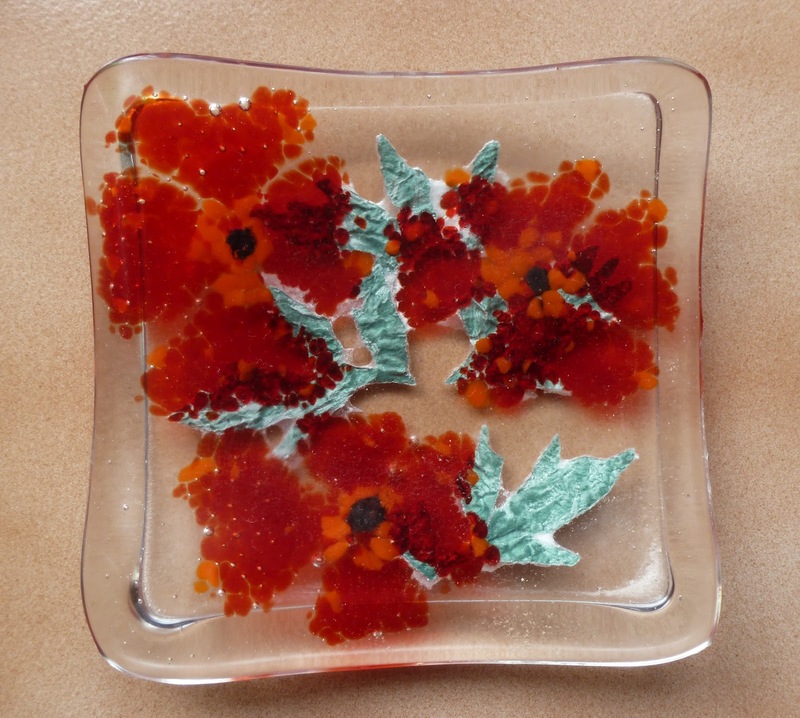 I used frit to make the shape of pansies (at least they are supposed to look like pansies, they are a bit wonkey.) It was also the first time I used fusable paper as I thought leaves may be a bit tricky using frit, plus I don't have any green.I think it has turned out well but I managed to break my slumping mold and I have only used it twice- rarrrrrrrrrrah! I hope everyone is having a great Handmade Monday! P.S... I am now on facebook, you can find me here- http://www.facebook.com/little.harriet There will be some crafty promotion and some random life type things, will also promote fellow crafty people. Yeah, I managed to break my slumping mould after only using it a couple of times. I was trying to make tealight holders. I gave it up as a lost cause! 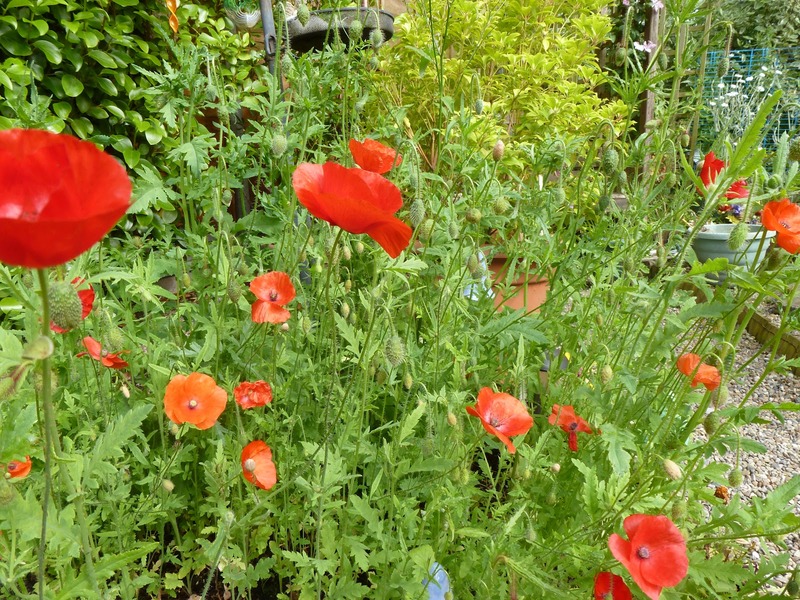 Have you got any giant poppies? 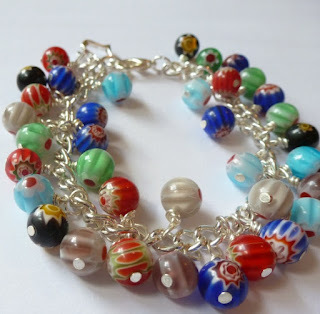 I love these.The bracelets are really colourful and bright (like poppies are!) I particularly like the first one. your jewellery looks fab, i especially like the 'spikey' bracelet - so unusual and fun! your glass is super too, i've never worked with it before but it sounds like you are using some interesting techniques! Your jewellery is really lovely - I do like the patterned beads. Well done with the glass work - the flowers are very pretty. Hope you have a good week. Lovely jewellery as usual, and great effect on the glass x have a good week. 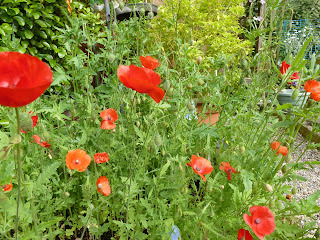 We have loads of poppies and yes the do reseed that and from where the birds drop seed everywhere. So pretty. 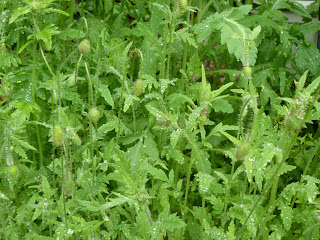 I love poppies, I have some lovely yellow ones too which turn up everywhere! 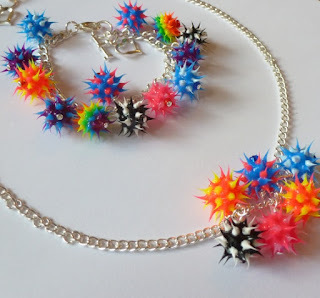 Love those spiky beads, so colourful. I just love poppies! U could try putting them into the glass!